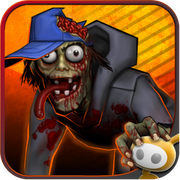 Glu Mobile has done it again, introducing INFECTED to the Android Market today. Glu's latest mobile game jumps on the zombie bandwagon, following the story of a "strange virus," which has begun infecting citizens of New York City, transforming them into "insane, violent zombies." 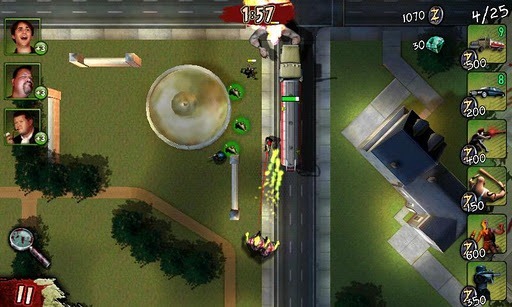 INFECTED uses a gameplay style strongly reminiscent of tower defense, replacing towers with civilians, and turrets with defenses ranging from NYC cops to muggers, limousines, oil tankers, and more. Players can unlock additional defenses and weapons by earning zollars or purchasing ziomonds in game. 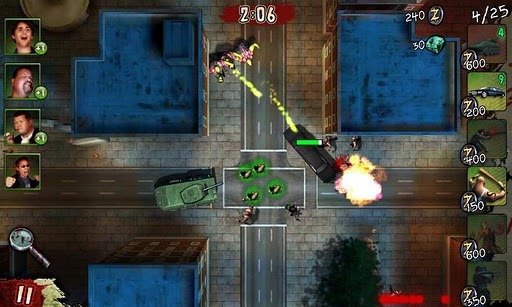 Adding a unique social element to its gameplay, INFECTED allows users to log in using their Facebook or OpenFeint accounts, which will transform the player's friends into in-game civilians. The game offers campaign and multiplayer modes, making it easy to pick up and play, and adding a bit more interest to a game that otherwise may be written off as just another defense strategy game. 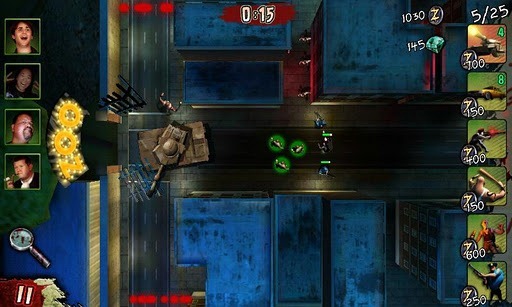 Additionally, weapons and defenses must be selected and positioned before the beginning of each mission, adding a certain extra element of strategy to the game. One huge plus is that the game is totally free in the Android Market. If you've been dying to defend the world against a rampant zombie virus, and love the tower defense genre, INFECTED is definitely worth a shot. Just click through the Market link below and prepare for the onslaught.